Antique Blue Colored Tissue Paper - 20" x 30" sheet size. 480 sheets per ream. Brilliant Blue Colored Tissue Paper - 20" x 30" sheet size. 480 sheets per ream. Cerulean Blue Colored Tissue Paper - 20" x 30" sheet size. 480 sheets per ream. Colonial Blue Colored Tissue Paper - 20" x 30" sheet size. 480 sheets per ream. Dark Blue Colored Tissue Paper - 20" x 30" sheet size. 480 sheets per ream. Navy Blue Colored Tissue Paper - 20" x 30" sheet size. 480 sheets per ream. Oxford Blue Colored Tissue Paper - 20" x 30" sheet size. 480 sheets per ream. Sapphire Blue Colored Tissue Paper - 20" x 30" sheet size. 480 sheets per ream. Turquoise Blue Colored Tissue Paper - 20" x 30" sheet size. 480 sheets per ream. 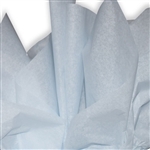 Blue Breeze Colored Tissue Paper - 20" x 30" sheet size. 480 sheets per ream.